Unplanned and rapid urbanization is one of the reasons for the rising surface temperature values in urban areas. There is a considerable amount of literature demonstrating the association of urbanization with surface temperatures. Küçükçekmece Lake, an important lake which has been meeting utility water needs of Istanbul, and unplanned and rapid urbanization around it have been affected by this inevitable change for years. Although surface temperatures generally correlate strongly with each other, very high and very low temperature values should not be disregarded and need to be investigated. The current study was conducted with the assumption that these values could be outlier values and thus they were analyzed using the Box Plot method for the selected region. Correlations between Land Surface Temperature (LST) values obtained for Küçükçekmece and its vicinity was examined using Landsat OLI images of June 20, 2016 and June 23, 2017, and LST outliers and regions with common outliers of/on both days were determined. In the study, 310 LST outliers were identified for June 20, 2016 and 34 LST outliers for June 23, 2017, and in both images, 33 outliers were found to be common and they clustered in two different buildings. The reasons for the outliers outside the standard surface temperature values and recommended solutions were discussed. Aggarwal, C. C. (2015). Outlier analysis. In Data mining (pp. 237-263). Springer, Cham. Alhawitti, R. H., and Mitsova, D. (2016). Using Landsat-8 data to explore the correlation between urban heart island and urban land uses. IJRET: International Journal of Research in Engineering and Technology, 5(3), 457-466. Bramer, M. (2007). Principles of data mining (Vol. 180). London: Springer. Chen, L., Li, M., Huang, F., and Xu, S. (2013, December). Relationships of LST to NDBI and NDVI in Wuhan City based on Landsat ETM+ image. In Image and Signal Processing (CISP), 2013 6th International Congress on (Vol. 2, pp. 840-845). IEEE. Chen, X. L., Zhao, H. M., Li, P. X., and Yin, Z. Y. (2006). Remote sensing image-based analysis of the relationship between urban heat island and land use/cover changes. Remote sensing of environment, 104(2), 133-146. Cui, L., and Shi, J. (2012). Urbanization and its environmental effects in Shanghai, China. Urban Climate, 2, 1-15. Deng, J. S., Wang, K., Hong, Y., and Qi, J. G. (2009). Spatio-temporal dynamics and evolution of land use change and landscape pattern in response to rapid urbanization. Landscape and urban planning, 92(3-4), 187-198. Du, H., Song, X., Jiang, H., Kan, Z., Wang, Z., and Cai, Y. (2016). Research on the cooling island effects of water body: A case study of Shanghai, China. Ecological indicators, 67, 31-38. Gunawardena, K. R., Wells, M. J., and Kershaw, T. (2017). Utilising green and bluespace to mitigate urban heat island intensity. Science of the Total Environment, 584, 1040-1055. Han, J., Pei, J., and Kamber, M. (2011). Data mining: concepts and techniques. Elsevier. Hasanlou, M., and Mostofi, N. (2015). Investigating urban heat island estimation and relation between various land cover indices in tehran city using landsat 8 imagery. In Proceeding. Iglewicz, Boris and David Hoaglin (1993), How to Detect and Handle Outliers. American Society for Quality Control, Milwaukee WI. Jenerette, G. D., Harlan, S. L., Brazel, A., Jones, N., Larsen, L., and Stefanov, W. L. (2007). Regional relationships between surface temperature, vegetation, and human settlement in a rapidly urbanizing ecosystem. Landscape ecology, 22(3), 353-365. Kucukali, U. F., and Kuşak, L. (2017). Environmental, Social, and Economic Indicators of Urban Land Use Conflicts. Urbanization and Its Impact on Socio-Economic Growth in Developing Regions, pp. 285, IGI Global,USA. Kumar, M. and Mathur, R., 2014, April. Outlier detection based fault-detection algorithm for cloud computing. In Convergence of Technology (I2CT), 2014 International Conference for (pp. 1-4). IEEE. Li, W., Cao, Q., Lang, K., and Wu, J. (2017). Linking potential heat source and sink to urban heat island: Heterogeneous effects of landscape pattern on land surface temperature. Science of the Total Environment, 586, 457-465. Liao, J., Jia, Y., Tang, L., Huang, Q., Wang, Y., Huang, N., and Hua, L. (2017). Assessment of urbanization-induced ecological risks in an area with significant ecosystem services based on land use/cover change scenarios. International Journal of Sustainable Development and World Ecology, 1-10. Liu, Y., Chen, Z. M., Xiao, H., Yang, W., Liu, D., and Chen, B. (2017). Driving factors of carbon dioxide emissions in China: an empirical study using 2006-2010 provincial data. Frontiers of Earth Science, 11(1), 156-161. Nacef, L., Bachari, N. E. I., Bouda, A., & Boubnia, R. (2016). “Variability and decadal evolution of temperature and salinity in the mediterranean sea surface”. International Journal of Engineering and Geosciences, 1(1), 20-29. Olson, D. L., and Delen, D. (2008). Advanced data mining techniques. Springer Science and Business Media. Ranagalage, M., Estoque, R. C., and Murayama, Y. (2017). An urban heat island study of the Colombo metropolitan area, Sri Lanka, based on Landsat data (1997–2017). ISPRS International Journal of Geo-Information, 6(7), 189. Rousseeuw, P. J., and Hubert, M. (2017). Anomaly detection by robust statistics. Wiley Interdisciplinary Reviews: Data Mining and Knowledge Discovery. Seo, S. (2006). A review and comparison of methods for detecting outliers in univariate data sets (Doctoral dissertation, University of Pittsburgh). Shen, H., Huang, L., Zhang, L., Wu, P., and Zeng, C. (2016). Long-term and fine-scale satellite monitoring of the urban heat island effect by the fusion of multi-temporal and multi-sensor remote sensed data: A 26-year case study of the city of Wuhan in China. Remote Sensing of Environment, 172, 109-125. Sobrino, J. A., Jiménez-Muñoz, J. C., and Paolini, L. (2004). Land surface temperature retrieval from LANDSAT TM 5. Remote Sensing of environment, 90(4), 434-440. Sobrino, J. A., Raissouni, N., and Li, Z. L. (2001). A comparative study of land surface emissivity retrieval from NOAA data. Remote Sensing of Environment, 75(2), 256-266. Stathopoulou, M., and Cartalis, C. (2007). Daytime urban heat islands from Landsat ETM+ and Corine land cover data: An application to major cities in Greece. Solar Energy, 81(3), 358-368. Stathopoulou, M., Cartalis, C., and Petrakis, M. (2007). Integrating Corine Land Cover data and Landsat TM for surface emissivity definition: application to the urban area of Athens, Greece. International Journal of Remote Sensing, 28(15), 3291-3304. Tang, B. H., Shao, K., Li, Z. L., Wu, H., and Tang, R. (2015). An improved NDVI-based threshold method for estimating land surface emissivity using MODIS satellite data. International Journal of Remote Sensing, 36(19-20), 4864-4878. Tayyebi, A., Shafizadeh-Moghadam, H., and Tayyebi, A. H. (2018). Analyzing long-term spatio-temporal patterns of land surface temperature in response to rapid urbanization in the mega-city of Tehran. Land Use Policy, 71, 459-469. Valor, E., and Caselles, V. (1996). Mapping land surface emissivity from NDVI: Application to European, African, and South American areas. Remote sensing of Environment, 57(3), 167-184. Van de Griend, A. A., and Owe, M. (1993). On the relationship between thermal emissivity and the normalized difference vegetation index for natural surfaces. International Journal of remote sensing, 14(6), 1119-1131. Wang, J., Da, L., Song, K., and Li, B. L. (2008). Temporal variations of surface water quality in urban, suburban and rural areas during rapid urbanization in Shanghai, China. Environmental Pollution, 152(2), 387-393. Weng, Q. (2001). A remote sensing? GIS evaluation of urban expansion and its impact on surface temperature in the Zhujiang Delta, China. 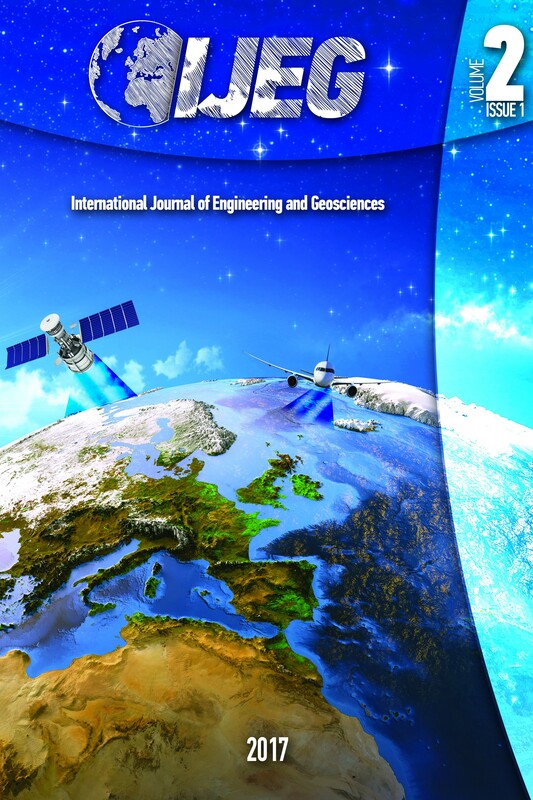 International journal of remote sensing, 22(10), 1999-2014. Xie, Q., Zhou, Z., Teng, M., and Wang, P. (2012). A multi-temporal Landsat TM data analysis of the impact of land use and land cover changes on the urban heat island effect. J. Food Agric. Environ, 10(2), 803-809. Zhao, S., Da, L., Tang, Z., Fang, H., Song, K., and Fang, J. (2006). Ecological consequences of rapid urban expansion: Shanghai, China. Frontiers in Ecology and the Environment, 4(7), 341-346.